Recently, something interesting got reported in the British news. The Guardian, a UK newspaper, said in its online edition on Sunday, October 13, 2014 that former British prime minister Gordon Brown castigated the current British PM, David Cameron, for advocating the Conservative party proposal that Scotland should be 100% responsible for its own income tax revenues. By doing so, Gordon Brown asserted, David Cameron was alienating the Scottish people and thus “playing fast and loose” with the British Constitution. How apt the description is, I thought to myself. The same can indeed be said of the situation here in Malaysia. Politicians of all stripes, be they from the Barisan Nasional or Pakatan Rakyat, various non-governmental organisations (NGOs) such as Suaram and statutory bodies for professionals, such as the Malaysian Bar via the Bar Council, are engaging in activities that can only be said to be playing fast and loose with our constitution. How, might one ask, do these organisations play as such? To answer this, one must look back at recent history. For me, it all began when DAP, PKR and PAS denied Barisan Nasional a two-thirds majority in parliament in the 12th general election in 2008. This was a new phenomenon unlike anything before it and make no mistake, as a young law student at the time, I celebrated this. Like so many others of my generation, I too, believed that this achievement by what was to become Pakatan Rakyat was an advancement for the state of our democracy and signalled a new and possibly better, Malaysia. But subsequent events showed that this was not to be. Barisan Nasional, reeling at the losses it had suffered, gave us a new prime minister in 2009, Najib Razak. As part of his transformation agenda, he announced in 2011 that he would do precisely what supporters of Pakatan Rakyat loudly demanded he do, namely repeal all so-called authoritarian, archaic enactments such as the Internal Security Act 1960, and revoke the state of emergencies proclaimed in 1969 so that similarly so-called draconian ordinances such as the Emergency (Public Order and Prevention of Crime) Ordinance 1969 would cease to have effect. Laws that, were one to stop and consider them for a second, are generally responsible for the social order and stability necessary and enjoyed by us hitherto. Such stability enabled us to focus on the economy to generate wealth and produce jobs needed to provide for our own and others all this while before. It was not yet apparent at the time, but the repeal of these laws, whether intended or not, gave rise to this dangerous game with the constitution, producing consequences of which most Malaysians have to suffer the brunt until today. One by one, preventive laws that ensured our social and economic well-being all these 57 years of Merdeka were repealed or revoked. The Banishment Act 1959 and Restricted Residence Act 1933, two laws that protected us from all this while from the scourge of crime, were repealed at the end of that year. 2012 saw the repeal of the Internal Security Act, an Act which, without any doubt, saved us from many bombings such as that which happened in Bukit Bintang recently. The Emergency Ordinance of 1969 was revoked only to be replaced by an amended Prevention of Crime Act 1959 to contain the spike in crime the repeal of these laws had caused. And if there was any illusion that these repeals would help the ruling coalition politically, this was put to rest with the dismal results for BN of the 13th general election held last year. Yet pressure is being mounted on the government to repeal even more laws that protect our welfare. The Bar Council convened an EGM on September 19, 2014 and passed a resolution calling for the repeal of the Sedition Act 1948, a law that protects both racial harmony in this country and, more importantly, the Federal Constitution that the said Council as the executive body of the Malaysian Bar, claims to uphold. Come October 16, the so-called “Walk for Peace and Freedom”, organised by the Bar, will be held in the KL city centre. Malaysian Bar president Christopher Leong, gearing up for this rally, recently claimed that the Sedition Act promotes ignorance. No, certainly not, Mr Leong. It is you and your ilk, rather, who are ignorant of what the Act was enacted for. As for the so-called “walk”, suffice to say that I, along with other, at least 13, fellow lawyers who truly care about our supreme law, will not take part in a gathering calling for the abolition of legislation that protects it. At the time same, and in the absence of previous national security regulations, certain unscrupulous quarters have become ever more emboldened in their defiance of constitutional provisions. This can be seen from PKR and DAP’s refusal to comply with His Royal Highness the Sultan of Selangor’s order directed at the two parties and PAS to submit more than one name for consideration as menteri besar in the recent Selangor MB impasse. Provisions of the Selangor State Constitution which provide for His Highness’ absolute discretion in selection of the MB were blatantly disregarded. This contemptible act not only challenges the Selangor State Constitution, but amounts to a challenge of our Federal Constitution as well, as the provision in question, namely Article 53(1)(a) of the Selangor State Constitution, is mirrored by Article 43(2)(a) of the Federal Constitution. This atmosphere of disregarding constitutional provisions was subsequently reinforced by the recent announcement by our prime minister during the recent tabling of the 2015 Budget in parliament that Mandarin-medium vernacular schools, whose very existence are constitutionally suspect, are to receive an allocation of RM50 million while other, constitutionally sound and protected schools using our national language as the medium of instruction receive a paltry amount by comparison. BN youth chief and Minister of Youth and Sports Khairy Jamaluddin recently said in response to fears that vernacular schools may be abolished that this allocation “cans” the issue. Well, what is unconstitutional remains so no matter how much allocation it receives and this fact can in no way be “canned”, pardon the pun. We have to wake up and smell the coffee here. Our Federal Constitution and the laws that protect them, as well as our way of life and values, are under threat. Various individuals and organisations, either by coincidence or by design, are clearly pursuing a course of action that is antithetical to our existence as a society. Examples of this are evident all around us. The position of Islam as the religion of our nation and our reputation as a Muslim-majority country dedicated to the promotion of family values, for example, have been made a mockery by the public display of hedonism at events such as the recently concluded Oktoberfest held at Bandar Utama, Petaling Jaya. Further, not content with the abolition of the ISA and possible abolition of the Sedition Act, moves are afoot by the likes of Suaram to press for the repeal of the Dangerous Drugs (Special Preventive Measures) Act 1985 as well, thus possibly resulting in drug lords roaming our streets. Also lamented is the tendency now amongst fellow lawyers to call for the abolition of laws instead of upholding due process as a response to charges against their clients for any offence, such as the recent call to abolish Section 500 of the Penal Code on criminal defamation when certain individuals were charged under that provision of the law. Continued acceptance of this state of affairs would be most unsatisfactory. Inaction in the face of blatant disregard for the Federal Constitution would surely lead to anarchy. This is why this game wherein there is fast and loose playing with provisions enshrined in our supreme law should be put a stop to as soon as possible. For if this nation of ours were to turn chaotic as a result of the game these individuals and organisations play to the rakyat’s detriment, no one will benefit and every Malaysian whether Malay, Chinese, Indian, Kadazan or Iban, will lose. Having identified the problem, what can we, members of civil society, do about it? What we can do first is to tell all concerned parties, whether Barisan Nasional, Pakatan Rakyat, Suaram or the Bar Council that enough is enough. That we will not be subject to their own whims, fancies and notions when it comes to matters of state administration and policy. What we want is no less than a desire to live in peace and harmony as was the case prior. Also no less important is what is taught to us by legal scholars of repute such as the eminent professor emeritus Shad Saleem Faruqi of constitutional law fame, that society should be governed by rule of law, and the Federal Constitution and its provisions must reign supreme. In respect of Malaysia, this would include Islam as the religion of the state, Malay as the national language, the special rights of the Malays and other natives, the legitimate rights of other communities and the sovereignty of the Malay rulers. Secondly, we can respond to and fight these attempts to belittle and cast aside our basic law. It is for this reason that I and other concerned lawyers, having met, acquainted amongst ourselves and formed the 13 voices of dissent at the recent Malaysian Bar EGM held on September 19, have decided to take our cause further and set up our own organisation to protect, defend and promote the Federal Constitution. We have styled this organisation Concerned Lawyers for Justice (CLJ). 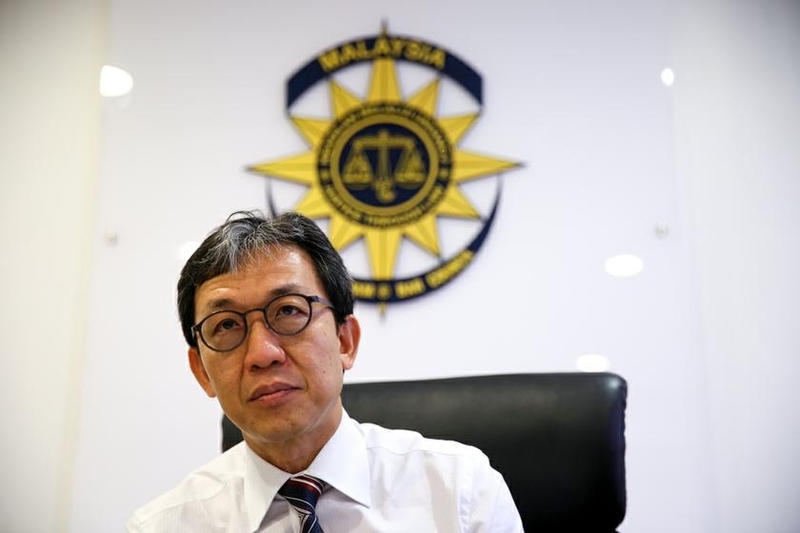 CLJ exists for one aim alone, namely to do what we believe the Malaysian Bar, in spite of its claims to the contrary, has failed to ensure the upholding of the rule of law and the supremacy of the Federal Constitution. We invite other concerned individuals and organisations of all creeds, in particular lawyers, to join us in this endeavour. Let us work together to take back what is left of the Federal Constitution from the likes of those who not only ignore its provisions but act contrary to the letter and spirit thereof. We will do so in the knowledge that we will be truly answering our calling as legal professionals and experts, and in the process leave future generations of Malaysians a better Malaysia than what we know and have. * Faidhur Rahman Abdul Hadi is a lawyer practising in Hartamas Heights, Kuala Lumpur and an activist member of Concerned Lawyers for Justice, a free association of lawyers and non-lawyers for the protection and promotion of the Federal Constitution. October 14, 2014 in Perlembagaan Persekutuan.